What’s This About A Wadlow Portrait? I had to double check my archives because sometimes what I think is new, I actually wrote about years ago. But so far the word “Wadlow” doesn’t appear in my archives. In the linked article above, an art historian makes her case. I’m not going to attempt to debate any of her points, because I don’t exactly have the credentials to do so. But it is a very interesting (lengthy) read, with almost as many footnotes and references as actual content. I like when historians write because they tend not to offer unsubstantiated opinion, they point to documents. Anyway, we’re not afraid of unsubstantiated opinions here. If I had to research and document everything I’ve ever wanted to say about Shakespeare I never would have started this site in the first place. What do you think? Have you heard of this Wadlow portrait? Do you know anything about the “Is it Shakespeare?” question? Is it? I don’t think it looks anything like him (not counting the earring). I suppose we could argue that this one is supposedly painted from life rather than after his death, but the other portraits do all tend to look alike – even Cobbe – mostly around the eyes. Having this be a more accurate depiction of Shakespeare would make all those other ones, including the one on the front pages of the First Folio, pretty wrong. Next ›BardBots, Or, How Did I Miss This?! I think it has a faint resemblance to Shakespeare Geek himself . . .
Not convinced by the linked article. She includes lots of citations in her footnotes. However, much of what she cites is from Wikipedia or online sources. I have trouble believing the veracity of much that I read on the internet. I don’t care how many websites claim otherwise, the Earth is not flat and NASA really sent men to the moon. Online sources are a good starting point. However, primary sources (original contemporary documentation) are your best bet for real information. Secondary sources (i.e. peer-reviewed books and articles) can be reasonably relied upon. Many of those sources have been digitized and are available from bona fide scholarly organizations. Reread the footnotes. Most of them do not cite the source of her information. Several are statements of her opinions and some even reference TV shows. During my grad school days, if I had presented a paper with such footnotes, it certainly would have been rejected. Another question arising from the article involves provenance. The ownership trail only goes back to the early 1960s. “The first and last questions are easily solved. I understand that the painting was acquired in the 1960s from a firm of London art restorers and dealers who were undertaking restoration work and selling items for the owners of a large house.” What was the firm’s name? What “Large house” did it come from? Prior to the Wadlow family’s purchase, there is no reliable history of the painting’s previous 400 or so years. That is a pretty big blank. Just looking at the portrait raises one immediate question in my mind. Was Shakespeare ever known to have amblyopia? Look at the alignment of the eyes. He seems to have what was commonly called lazy eye. Sorry about the ramble. Even 30 years out of grad school, sloppy scholarship still annoys me. 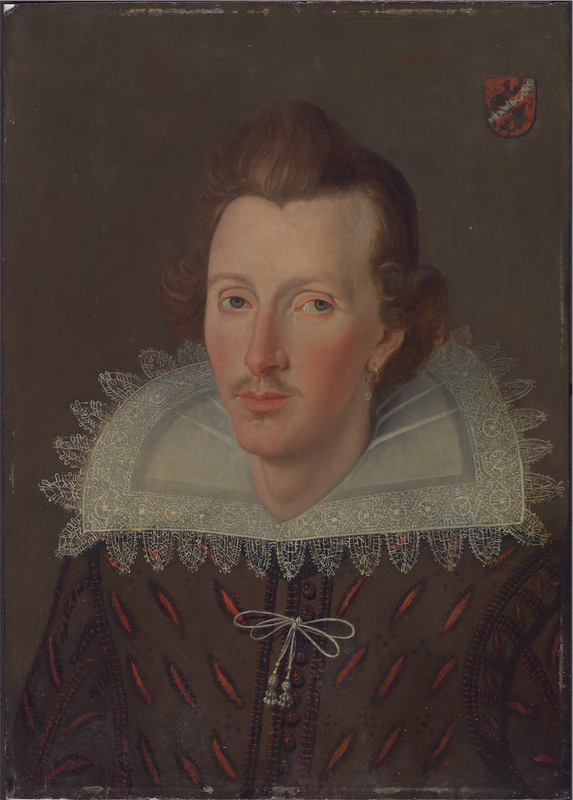 It seems to me that this is Philip Sidney. Perhaps anyone interested, whether for or against, would like to take a look at our website for more detailed infkrmation. Great you are entering into the discussion. The intention is to draw reactions, both positive and negative. However, the academics are interested in this portrait even if you aren’t. FYI – herewith the bibliography for the essay. Perhaps you would like to consider the difference between Endnotes and a Bibliography. The Wikipedia sources are for imagesm not facts. Within the list of books are original 16th century titles. http://www.christies.com/features/the-hugo-van-der-goes-painting-revealed-after-centuries/ dated 13th April, 2017 : accessed 5th May 2017.
https://phys.org/news/2017-04-large-area-chemical-imaging-reveals-layers.html accessed 3rd April 2017. Anecdotes of painting in England: with some account of the principal artists; and incidental notes on other arts; collected by the late Mr. George Vertue; and now digested and published from his original MSS. by Mr. Horace Walpole. The second edit… by Walpole, Horace, 1717-1797. at http://ota.ox.ac.uk/id/4405 via http://writersinspire.org/content/anecdotes-painting-england-some-account-principal-artists-incidental-notes-other-arts. Accessed on Monday, June 19, 2017. The photograph of the Unknown Man (known as the Wadlow Portrait) is copyright of the Hamilton Kerr Institute, Cambridge, UK. Marguerite of Austria, Regent of the Netherlands 1506-1530: Peter van Coninxloo. Original National Gallery, London. Not on display. The Cobbe portrait – Anon : Hatchlands; National Trust, Surrey. Hearn, Karen; Marcus Gheerhaerts II; Tate Publishing; Tate Enterprises Ltd., Millbank, London SW1P 4RG; 2002. Dynasties: Painting in Tudor & Jacobean England 1530 – 1630; ed. Karen Hearn; Tate Publishing; Tate Enterprises Ltd., Millbank, London SW1P 4RG; 1995. Hammerschmidt-Hummelm Hildegard; And the Flower Portrait of William Shakespeare is Genuine After All; Georg Olms Verlag AG; Hildesheim, Zurich, New York, 2010. Keirnan, Pauline; Filthy Shakespeare; Quercus, 2006. Stirling, Simon Andrew: Who Killed William Shakespeare; The Murderer, The Motive, The Means; The History Press; 2013. Waterhouse, Ellis: Painting in England 1530-1790: Penguin, London 1978. Shakespeare’s Tomb: Dr Helen Castor investigates. First Screened 26th March 2016 & available OnDemand All4.